There’s always a lot of attention centered around the bride’s wedding gown, but what about the groom’s suit? His attire is important too, and should fit all aspects of your wedding together. There are just a few basic rules that will help the groom’s suit look incredible and match the style of the wedding. It honestly doesn’t matter how expensive, fancy, or well-designed a suit or tux is—if it doesn’t fit the groom right, it’s just not going to look good. It also won’t feel good. And, attention grooms who are renting their outfit: most rental shops will still custom tailor your suit. Make sure to visit a professional tailor to make sure it’s done just right. After all, this is for the biggest day of your life. The day that you’re joined together as one, you should look fantastic standing near each other, right? It’s amazing how many couples don’t consider how their wedding attire will look together. It’s often because of things that don’t seem obvious. Shades of white can clash because there are so many of them, and the same goes for grays, browns, tans, and basically any color. While some contrasting colors and shades work great together, some don’t, and the last thing you want is to discover that on your wedding day. The same goes for style. If the bride is wearing a fancy, jeweled gown and her groom is wearing a light summer suit, it may look off. If she’s in a bohemian beach dress and he’s in a Mad Men-style vintage suit, it may look off. Coordinate your colors and styles beforehand! There are all kinds of suits for all kinds of body types, and instead of just picking out a groom’s suit that looks good on the rack, a guy should look according to how his body looks. If a groom is shorter in stature, two- or three-button jackets with a low-button stance will help him look taller. If he’s thin, a double-breasted suit can add the illusion of bulk. If he’s larger, a fitted suit with some nip in the waist will make him appear leaner. Darker colors in suits are also slimming. A good idea is to visit a proper tailor and get an expert opinion on what styles will best flatter the groom’s body. It’s also important that the groom’s suit looks great with his groomsmen’s attire and the bridesmaids’ dresses. Basically, everything should look cohesive and planned out. You don’t want something like pink and red next to each other. 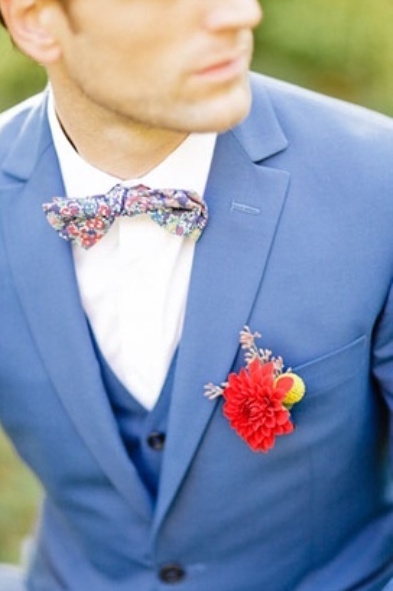 While some grooms will want to remain traditional, others may want a pop of color. When it comes to the groom’s suit, this may be their pants and jacket, or it can be as subtle as a bowtie. Either way, it’s important for a groom to be bold and wear what he wants on his wedding day. As long as it looks good with everything else and matches the tone of the wedding, go for it! Having a daytime ceremony by the beach? The groom’s wedding outfit shouldn’t be too formal. Having a lavish, 300-guest reception in a beautiful banquet hall? His outfit shouldn’t be too casual. 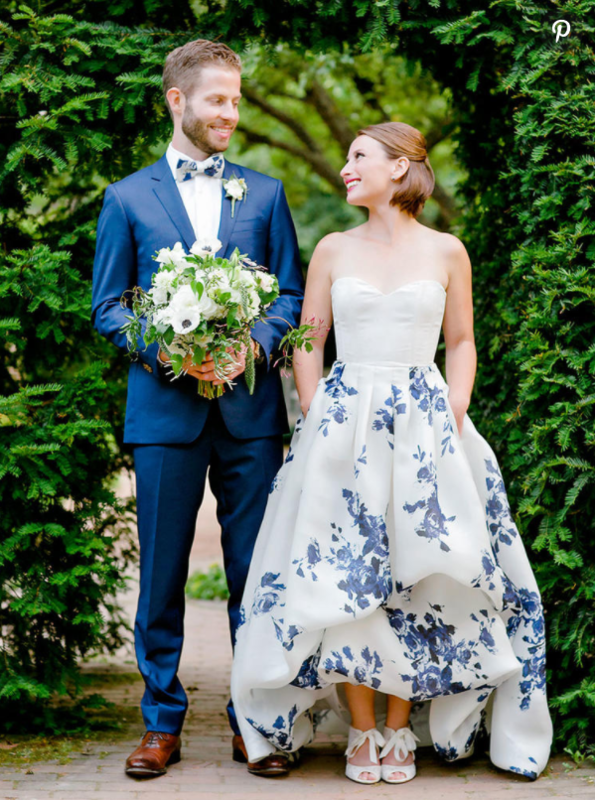 Whatever style of wedding you choose—from classic to backyard barbecue to rustic to formal—the groom’s attire should reflect the tone of your wedding. A general rule of thumb is if you’re having an outdoor wedding during the daytime, the groom’s suit can be more casual, made from lighter colors and materials. 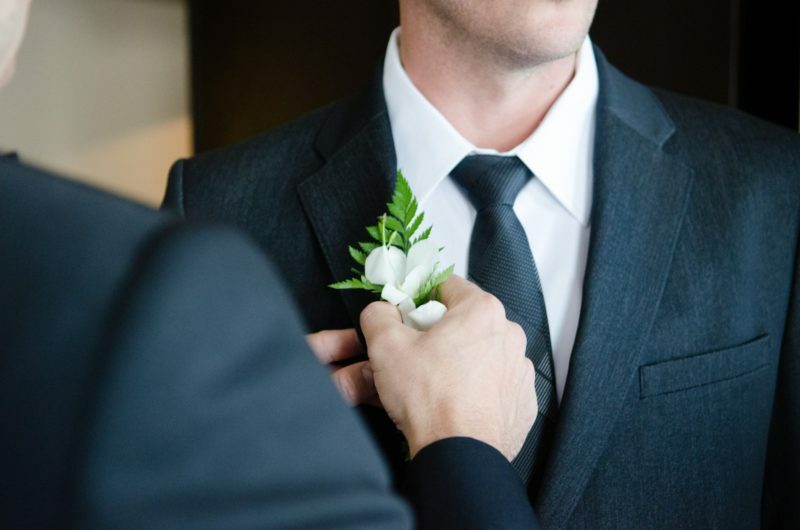 If you’re having a fancier ceremony at nighttime in a sophisticated venue, he’ll want to dress up more, in a perfectly-tailored suit or a tux. Or, if you’re going full-on formal, white-tie attire is called for. At Platinum Banquet Hall, we’ve seen wedding attire of all kinds. 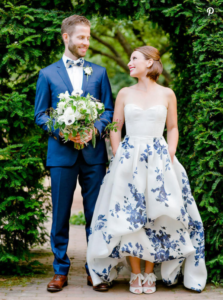 From wildly-patterned groom’s suits to the most formal black-tie attire, we love it all because weddings are our priority. From the most intimate weddings to big reception parties, we love hosting weddings at our beautiful Los Angeles banquet hall. If you’re looking for a wedding venue for your wedding, take a look at our photo gallery, or feel free to ask about our availability!